How Do Collections Work in the Apps? 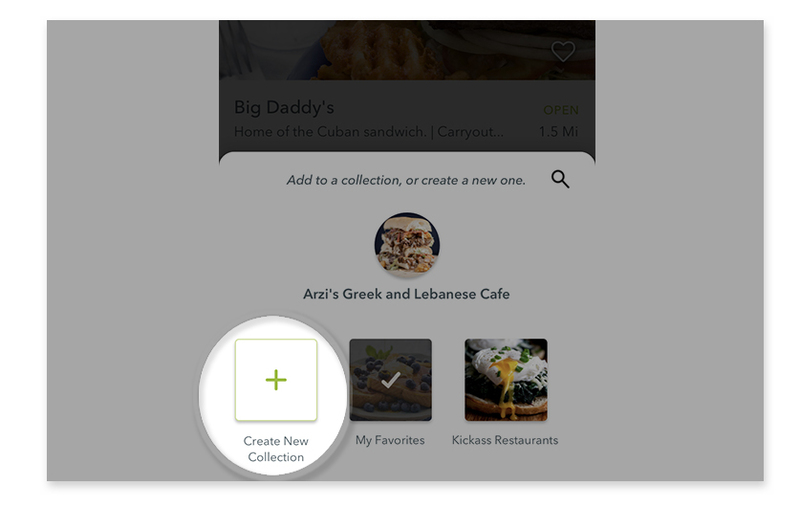 Collections allow you to create custom groups for your favorite restaurants. You can create a collection in one of two ways on the mobile apps. Note: Collections is only available with Android, iOS is coming soon! Long tap the heart icon to the bottom-right hand corner of the restaurant card, and select the blue collections icon. 2. 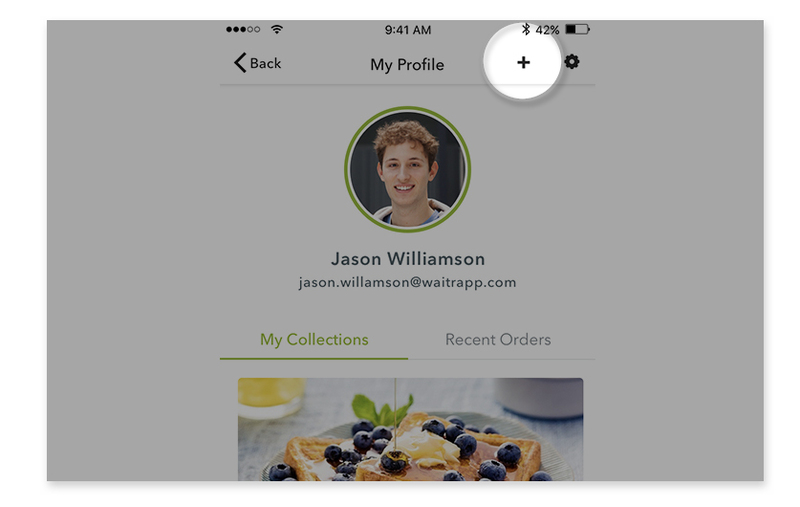 A modal will appear from the bottom of your screen. Tap the 'Create New Collection' button in the bottom-left hand corner of your screen. 3. Enter in a custom name for your collection, then hit 'Save'. 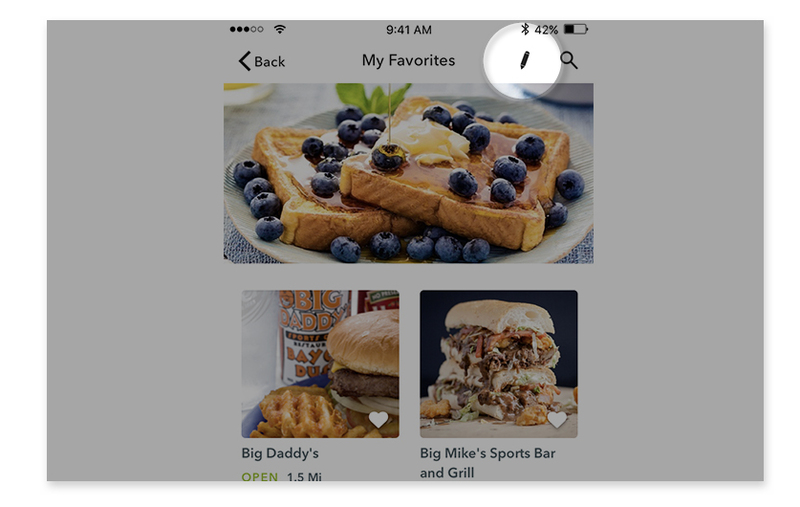 Open the menu by tapping the 3 horizontal lines in the upper-left corner. Tap the plus icon in the upper-right hand corner of your screen. This will allow you to create a custom collection. 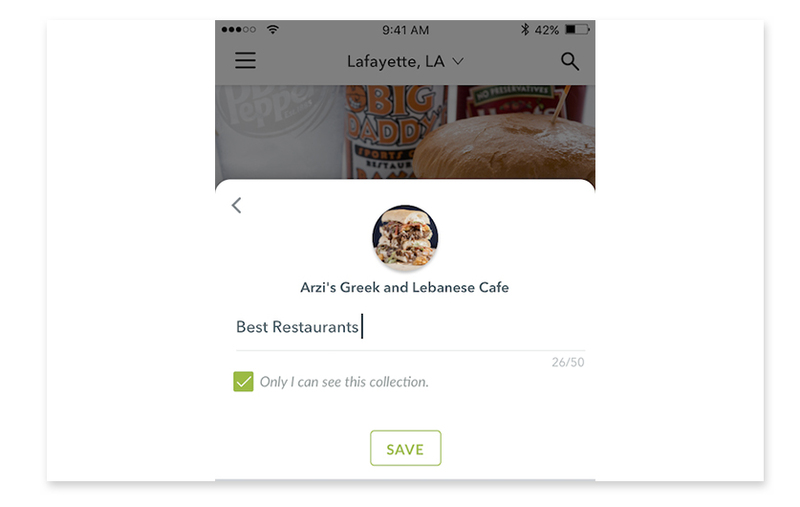 You will have the ability to name your collection, upload a cover photo for the collection, write a description, select whether it's public or private, and add restaurants to the collection. Collection names are limited to 50 characters.Collection descriptions are limited to 255 characters. Select a collection, from within your profile. You will then see the name of your collection, the cover photo, and a pen icon in the upper-right hand corner of the screen. Tap the pen icon to edit your collection. From the list of restaurants, long tap the heart icon on the restaurant card. Select the blue 'Collections' icon. 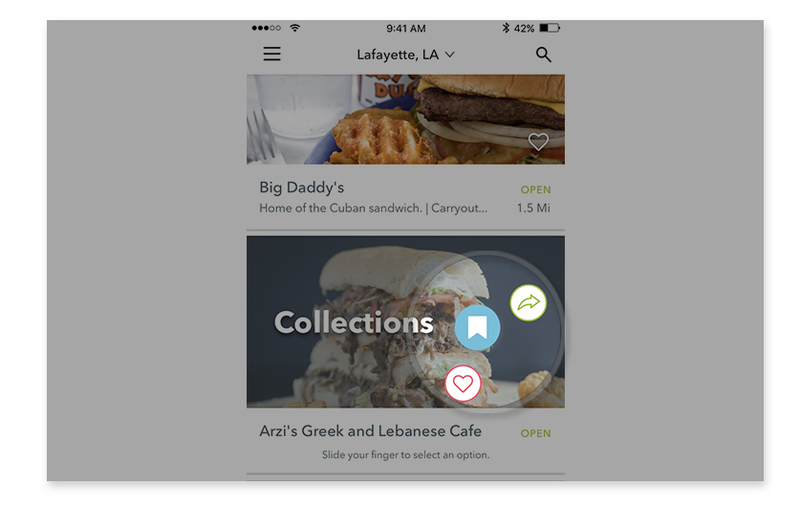 A modal will appear from the bottom of your screen, allowing you to select which collection you'd like to add the restaurant to. If the restaurant is already in a collection, you will see a checkmark over that collection. Tap the collection you'd like to edit. All of the restaurants in your collection should have a white heart on their card. Tap the heart to remove the restaurant from your collection.